B&W. Verso: paper sticker: " Source D. Edwards 6b. 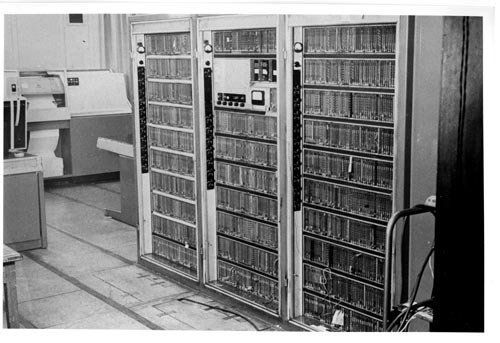 The ATLAS central processor bay showing the card racks and the B index store which used partial flus switching of cores." Three large cabinets with cards shown. The center bay has a control panel. To the rear is a large printer.